What exactly is the origin of chocolate? Chocolate has been a delicacy for much longer than previously thought. Botanical evidence shows the plant from which chocolate is made was first grown for food more than 5,000 years ago in the Amazon rainforest. 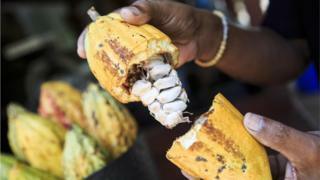 Chemical residues found on ancient pottery suggest cocoa was used as a food, drink or medicine by indigenous people living in what is now Ecuador.